Protect your Tampa property with security system installation services you can trust. The population of the Tampa, Florida area has been exploding in recent years. Since 2000, we have increased by over 18% to nearly 3 million people. That’s a long way to come since the first frontier outpost in 1824. It is not hard to fathom why we would have more crime now than when our population in the 1900s was a mere 30,000 people. One of the ways to keep your family or your business safe is with a quality security system. The important thing is to be sure that you have one that works properly and that the security system installation has been done correctly. You can trust our professionals at 5 Star Electrical LLC to plan the right system for your property, whether for your home or a commercial property. Furthermore, it will be put in correctly by our well-trained security system installation team. 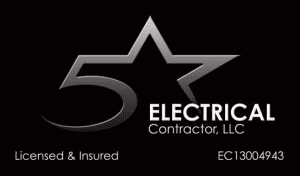 Our owner, Shawn Formont, worked for many years in the electrical contractor trade before starting 5 Star Electrical LLC in 2010. His experience as a project manager on large-scale jobs earned him an excellent reputation, which makes our team highly sought-after for security system installation and our many other services. We believe being safe shouldn’t cost you the arm and a leg you are trying to protect. You can trust us for fair prices for security system installation completed in a timely manner. Call us today to get an estimate for this or any of our other services.